All these cartoons are released with a Creative Commons Zero (CC-0) license so you can make the most of them. Laughter is optional; rolling of the eyes is an acceptable response. 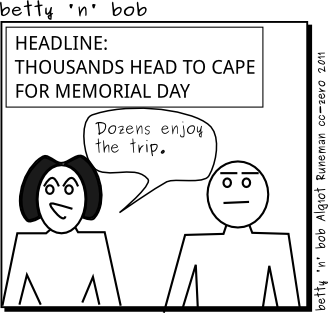 This is the May 2011 Archive Page for betty'n'bob. Special thanks to Leo Loikkannen and Máirín Duffy for their inspiration. 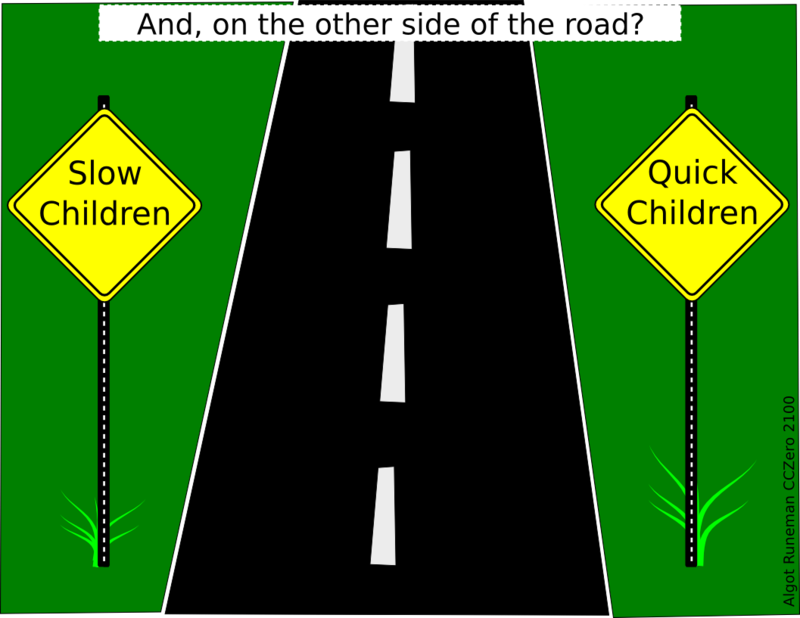 Comics created using the wonderful vector graphic program Inkscape. If you want to explore making vector graphic cartoons on your own, download and install Inkscape which works with Windows, Macintosh and Linux. It won't cost you anything. It is Free Open Source Software (FOSS). Then, if you want, download one of two design templates listed below. Right click and choose the "Save link as..." option. Basic betty'n'bob template - three panel cartoon template and some starter characters. 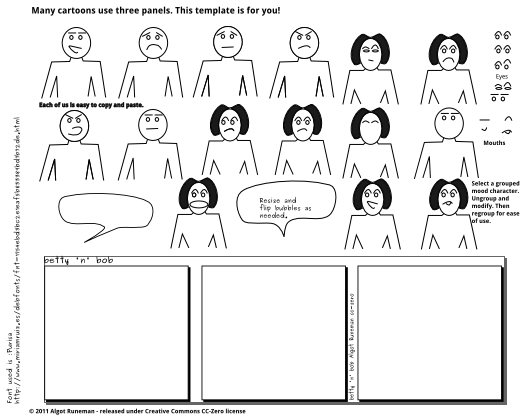 Instructions template - three panel template surrounded by some instruction material for how to do new characters and cartoon elements. Have fun. Learning is a game that pays you many benefits.